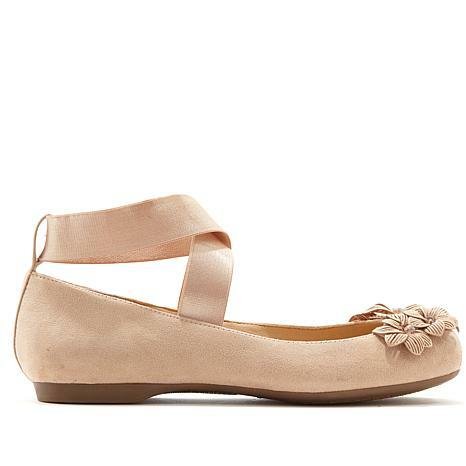 You may not be able to pull off the perfect pirouette, but you'll look every bit the part of the prima ballerina when you wear these sweet ballet flats from Jessica Simpson. 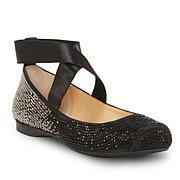 Pair them with all your favorite ensembles. This flat is adorable and so comfortable! 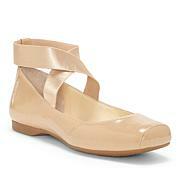 I bought it in all colors and wear them almost every day! I got this after reading the reviews!! So happy I made this purchase. I have wide feet and it fits like a glove. It is very comfortable and looks darling. Ive got compliments every time I wear it. 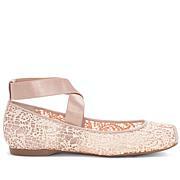 Absolutely love these ballerina flats! I bought 4 different styles!!! 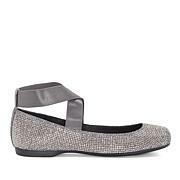 I am a very tall woman and needed some pretty flats that didnt look boring. I brought the black and they are lovely! I sized up 1/2 a size to be on the safe side. Glad I did. They are beautiful. This is one of my favorite shoes to wear. Everytime I wear them, I get compliments.